A new experimental broadcast license for WKAR-TV opens the door for broadcast innovation and research at the MSU College of Communication Arts & Sciences. 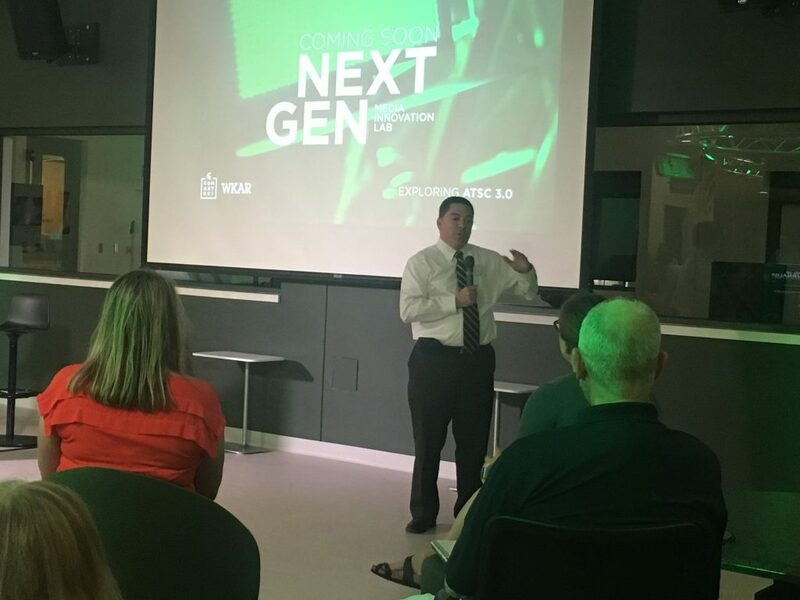 Michael O’Rielly, commissioner of the U.S. Federal Communications Commission (FCC), recently visited Comm Arts and WKAR studios to show support for the deployment of ATSC 3.0 technology and announce the new license. The FCC issued license for WKAR studios allows for the creation of a Next Gen Media Innovation Lab. As part of this announcement, Quello Center Director Bill Dutton highlighted some unique opportunities for research and innovation using ATSC 3.0. Dutton’s presentation followed an overview of the capabilities of ATSC 3.0 by WKAR’s Technical Services Manager Gary Blievernicht. See an overview here. Some call it ATSC 3.0, Dutton calls it Next Generation Broadcasting. ATSC 3.0 may have an unfortunate name, according to Dutton, but the potential of this broadcast innovation is generating excitement among public broadcasters, policy makers, College of Communication Arts & Sciences administrators and faculty. Dutton explained the hype and history behind this ambitious initiative to help welcome Commissioner O’Rielly and catch faculty and staff up to speed on ATSC 3.0. ATSC 3.0 is the merging of broadcasting and the Internet. This new broadcast platform offers the affordances of the Internet, such as customized content and more viewing options (e.g. choosing from various camera angles during a live game), while using a broadcast signal. This allows flexible, adaptable and future focused programming for broadcast television, including public stations like WKAR. O’Rielly toured WKAR studios and the College of Communication Arts & Sciences before joining the presentations. 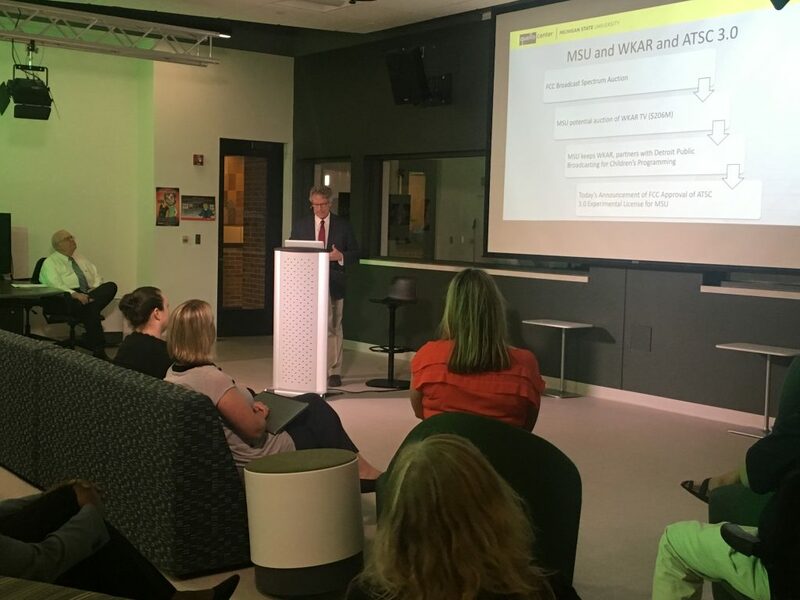 During his visit, O’Reilly announced that WKAR-TV is the first public broadcasting station awarded an experimental license to use ATSC 3.0 over the airways. Only a handful of broadcasters across the nation will have this unique opportunity, he explained, and WKAR is the only broadcasting station to explore and develop this next generation broadcasting for public television. With the experimental license, WKAR studios and College of Com Arts will continue to build a state of the art ATSC 3.0 Media Innovation Lab. Dutton, who was part of a strong group that advocated to save MSU’s broadcast spectrum and establish a center at MSU to experiment with ATSC 3.0, explained the potential behind this cutting-edge broadcast system and reflected on how the university considered auctioning off WKAR-TV spectrum at the FCC Incentive Auction in 2016. “There was financial incentive, potentially over $206 million” Dutton explained. However, the potential loss of WKAR was met with public backlash when hundreds of people gathered for a forum on the issue in January of 2016. Ultimately, the university decided that the end of over-the-air public television in Lansing, the deepening divides in access to broadcasting and the lost potential for broadcast innovations was not worth the money. With the decision to keep WKAR on the airwaves, thought leaders and advocates like Prabu David, Dean of the College of Communication Arts & Sciences, decided that a partnership between the college and WKAR could help shape the future of broadcast. The potential crisis was averted when MSU pulled out of the auction, Dutton said, now we have decisions to make about the potential for research and policy. Among other things, ATSC 3.0 will require policy considerations surrounding issues of localism, diversity, privacy and security. Research is required to determine best practices and inform policy decisions. Dutton listed other capabilities and considerations for the lab as a testbed for personalization and new applications and services including alerts and information related to health, medical, emergency or public service announcements. The Next Gen Media Innovation lab can serve as a platform for user behavior research related to user adoption of ATSC 3.0, patterns of use and impacts of the technology. Dutton believes that such a lab can help improve public broadcasting in Lansing and attract students to the college who value being at the cutting edge of broadcast innovations. Commissioner O’Rielly expressed his gratitude to WKAR and other public broadcasters for leading the way in television and broadcast research, saying “commercial broadcasters are not very good at doing research, because public broadcasters are so good at it.” He explained, how commercial entities are able to use the research of public media broadcasters, such as WKAR, and modify approaches for commercial use. O’Reilly expressed excitement and awe of WKAR studios and Com Arts, admitting that in his 25-years of public service he had never visited a public broadcasting station. Walt Disney is purchasing Murdoch’s entertainment empire for over $50 billion. Is this a great deal – or a huge challenge for the future of Disney? Disney, and its Bob Eger, should be frightened that the FCC just terminated “net-neutrality,” which means that the middle distributors can charge different Internet rates depending upon the source and the content. Rubert Murdoch is known as a very shrewd businessman. The fact that he wants to sell his entertainment properties should be the cause of suspicion. If it looks like a good deal, it most likely is a good deal – for Murdoch. Indeed, the Internet was not designed for the delivery of broadband video. The bandwidth (or data capacity) and need for instantaneous delivery, coupled with the one-way nature, of video is costly. One solution is to charge more, as now allowed by the elimination of net-neutrality. Another solution would be a network optimized for the technological demands of video – but that would require technological innovation. Unfortunately, the Bell Labs of the past that used to give us such innovation is no more, and the telephone companies, such as AT&T, simply are not innovative. 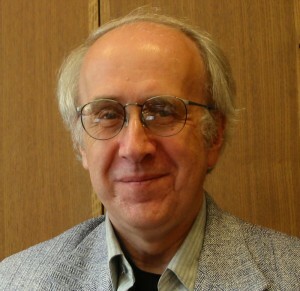 A. Michael Noll is Professor Emeritus of Communications at the Annenberg School for Communication and Journalism at the University of Southern California. He has written many articles and opinion pieces about the telecommunications industry and technology.